While my Instagram feed was full of bloggers posting their latest chia-creation, raving about how delicious they were, I would hesitantly make chia gel to stir into my muesli or put in my smoothie. It didn’t at all excite me though. Only recently did I come across a recipe that caught my attention because it sounded a little different and like it might actually work for me. After a few minor adjustments, it did and I’m very much in love. 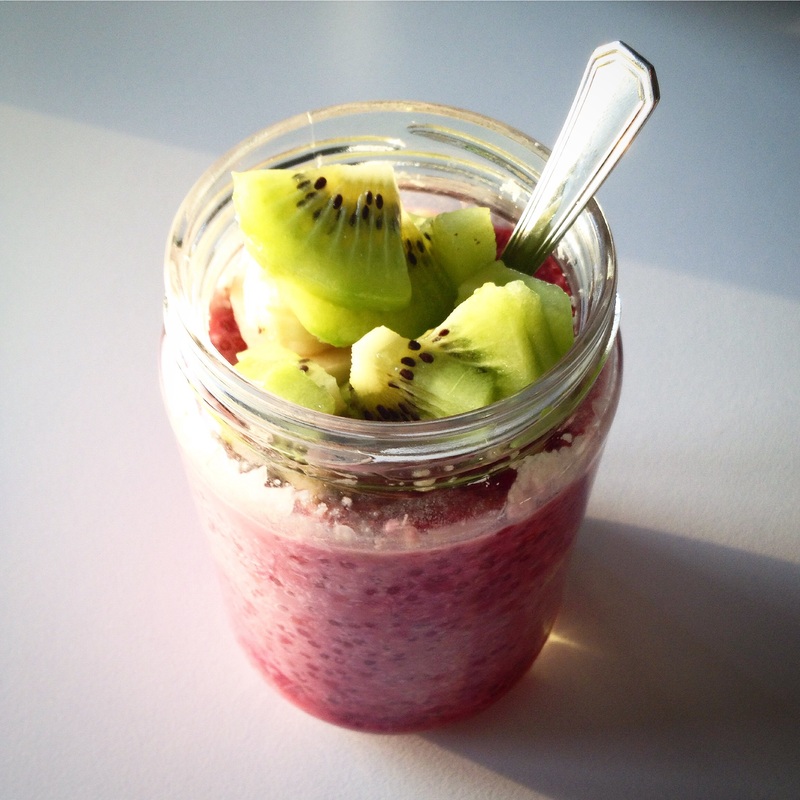 Now I’m one of the cool kids who are having raspberry chia pudding for breakfast – even at work because it’s easy to transport in a glass jar. Put chia seeds in a jar and stir in almond milk. Let sit for at least 10 minutes to allow chia seeds to gel. Gently stir in raspberries, shredded coconut and maple syrup (if you like it sweet). Either put it in the fridge overnight for a scrumptious breakfast or eat straight away. Before serving, add almond butter and fruit. I love it with cut up kiwi fruit and banana. 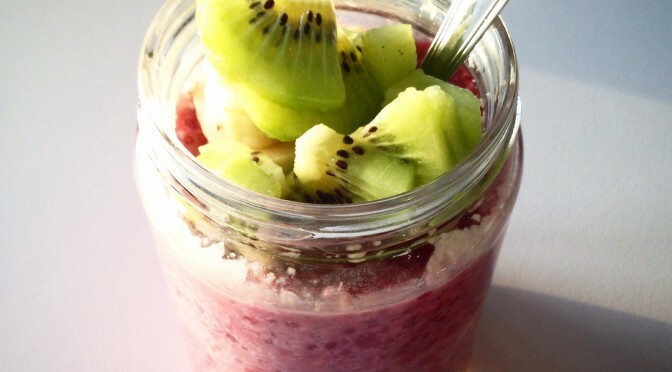 Have you used chia seeds before? How did you go?